"The Baseball Song" official launch date is set. Promotions begin to all major & minor league baseball teams as well MBL players and fans. Jim & Rachel release "The Baseball Song". Jim & Rachel start recording tracks for their next release. 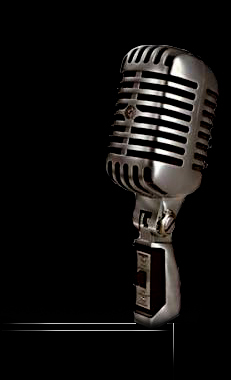 They have been pitched over 1000 songs by top Nashville writers and have written over 100 themselves. Radio promotions officially begin. J & R have been picked up by several US and overseas stations. Jim $ Rachel start their YouTube channel featuring their 1st webisode, music video, and a live performance at the Bluebird Cafe. Jim & Rachel start working on their 1st webisode which features a writing session with mega hit songwriter, Don Pfrimmer. 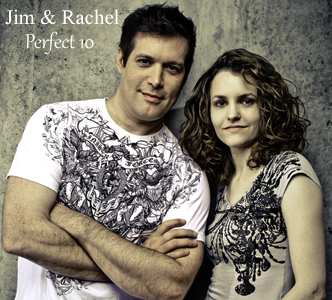 Jim & Rachel officially release "Perfect 10", their debut CD, available exclusively at www.JimRachel.com. Listen to song clips on the Music page and buy individual downloads, the full CD, and merchandise on the Shop page. Photo shoot for CD and news media. 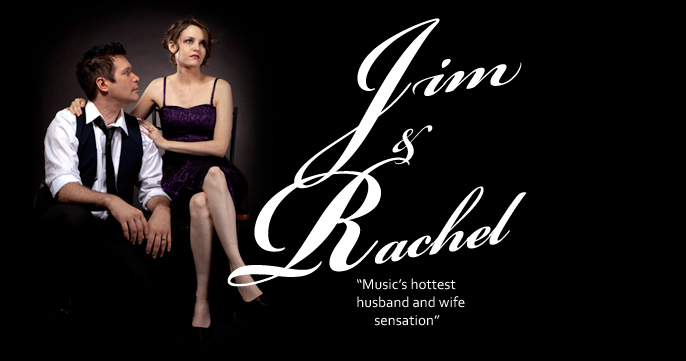 Jim & Rachel start writing and recording in preparation for the release of their debut CD. Nov 30th viewing party of "Music Raw Row" at the BMI Theatre Room. The viewing was a smash and received a rousing applause to a packed house of Nashville music industry and media. Ray Stevens, Norro Wilson, Bekka Bramlett, Alex Harvey, and many more attended. Jim & Rachel have been cast in a new reality series, "Music Row Raw". The show is about "how hard it is to make it in Nashville". Jim & Rachel get kudos, criticism, and advice from Nashville legends Ray Stevens, Mel Tillis, Norro Wilson, Ralph Emery, and others. The pilot ends up with Jim & Rachel getting a sit down meeting with Buddy Cannon, Kenny Chesney's producer, and they get a chance to pitch a couple songs to Kenny Chesney-a songwriters dream. Buddy has a reputation for rarely taking meetings and also for his candor so things can go really well or well...you'll have to find out. It's charming, heartwarming, funny, and brutally honest.